Here we go again! This summer at the one and only Rock Academy is already shaping up to offer the most incredible Music Camps anywhere, ever. Please check back often, we have a couple more very special workshops to add to the list below. Camps will be updated as they are confirmed. This camp will be focusing on learning how to use the musical elements of rhythm, chords, and scales to explore the idioms of blues, r&b, rock & roll, rock, metal and more. We’ll also be focusing of how to improvise in these genres. This camp will be a great place for drummers, keyboardists, guitarists, bassists, horn players, and singers who want to learn how to make music with other musician on the spot. There will also be a performance for friends and family at the end of the week. Victor Lissabet is a music teacher who has worked with students of all ages and abilities. As a multi-instrumentalist, he has explored an array of musical styles on several instruments. From old-time banjo and cajun fiddle, classical to metal guitar, Victor has found the common threads of inner musicality and expressive musical communication. Son to a Cuban father and Colombian mother, Victor has been learning, arranging, and performing Latin American music since his childhood. 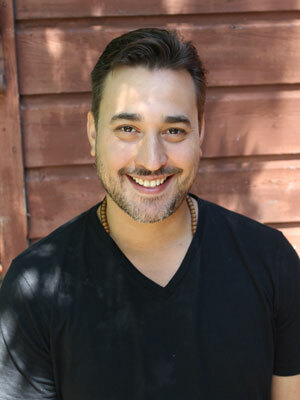 Currently Victor is an instructor and show director at the acclaimed Rock Academy in Woodstock New York, and the music teacher at the High Meadow School in Stone Ridge New York. Learn to sing from one of the great voices of our time. Tracy will take students through the steps of learning to sing with power and grace. This includes ear training, harmony singing, mic technique and everything a singer needs to know to truly command the stage. Not only will students learn songs by Fleet Foxes, Bon Iver, Grizzly Bear, The Band and Stevie Wonder, but they will write their own songs which Tracy will help them put harmony into. There will be a brief concert for parents and friends at the end of the week. Grammy nominated singer songwriter and classically trained violinist / pianist, Tracy Bonham, has appeared as guest vocalist on Aerosmith\’s Honkin On Bobo album, Blueman Group’s The Complex album, Aaron Freeman\’s Freeman album, among other acclaimed national and international acts. Her classical and jazz studies (University Of Southern California and Berklee College of Music) sparked a passion for music theory, ear training and vocal harmonies. 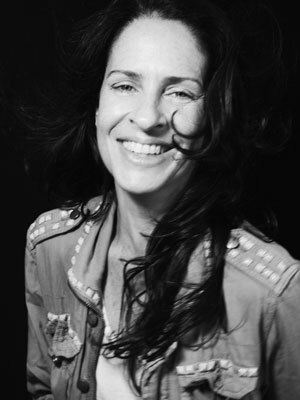 The commercial and critical laurels won by her latest releases––both 2015’s Wax & Gold, and Modern Burdens––have further underlined exactly what makes Tracy Bonham a stand-out serious artist with a unique set of talents. Jason will teach students the art of percussion and how to incorporate dynamics, power and speed into their playing. Students will spend the week learning selected percussion ensembles with a concert at 2pm on Friday for the parents. Jason has been working as a professional musician, producer and teacher for over 30 years. Ages 12 – 18, Some Experience Required. Scott Ian comes to town to teach our children the finer points of HEAVY METAL. Students will be placed into their own bands and then educated in what goes into making true metal music: from naming one’s band, to writing songs, arranging the material, and the performance of said material. The camp concludes with a short performance at 2pm on Friday for family and friends. 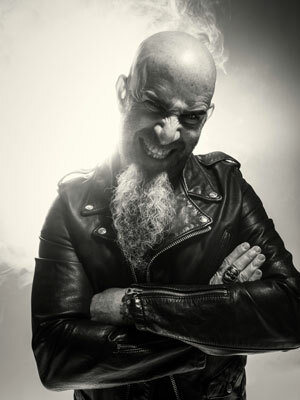 Scott Ian is the co-founder and rhythm guitar player of Anthrax. Scott, with Anthrax helped create thrash metal in the early 80\’s. Students will learn about the roots of punk rock, how, where and when it started, who the real pioneers of punk were and how it got its name. They will write their own punk rock songs which they will perform at a concert at the end of the week. Your kids will be really tired when they come home from camp! John has been a veteran of the New York City punk scene since 1978. He has been working as a professional musician, singer, and teacher for almost 40 years. Learn everything there is to know about one of the most influential artists of the 20th century, David Bowie. From Davey Jones to Ziggy Stardust to Blackstar, Bowie was always evolving, always experimenting both musically and visually. Students will learn Bowie songs along with the stories behind the music. There will be a brief concert at the end of the week for family and friends. Robert Burke Warren is a musician, writer, and teacher. His songwriting appears in movies and TV and on albums by Rosanne Cash, RuPaul, and rockabilly queen Wanda Jackson. As a globetrotting bassist, he toured extensively in the US and Europe. In the mid 90s, he spent a year as Buddy Holly in London in the West End musical Buddy: the Buddy Holly Story. 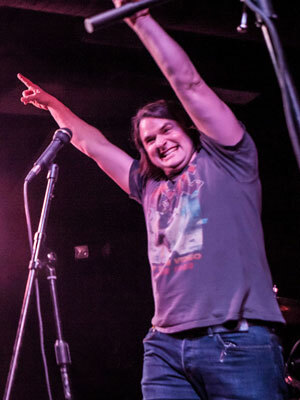 His rock n’ roll novel, Perfectly Broken, was published in 2016. Learn to jam like a legend. Scott will take students through every aspect of writing, arranging and jamming to their own songs. Learn the secrets of blues, rock, jam and ensemble playing and arrangements for American Roots music. There will be a brief concert at the end of the week for parents and friends. 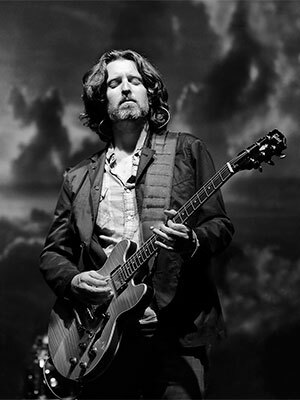 SCOTT SHARRARD spent nearly a decade as lead guitarist and bandleader to the late Gregg Allman. Their partnership included the Sharrard-penned “Love Like Kerosene,” which Allman covered on 2015’s “Gregg Allman Live: Back to Macon, GA,” and again on Allman’s eighth and final solo album, the posthumous, GRAMMY-nominated “Southern Blood” (Rounder Records, 2017). Another “Southern Blood” track, “My Only True Friend” – co-written by Sharrard and Allman – earned a GRAMMY nomination for Americana Song of the Year. 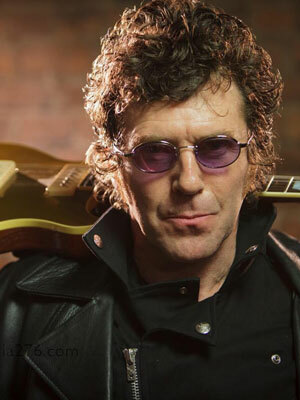 The singer, songwriter, guitarist, producer and arranger earlier released three albums with The Chesterfields before embarking on a series of solo efforts. The Milwaukee native’s latest, “Saving Grace,” was delivered in 2018 and was followed by national and international solo tours comprising over 100 dates that year. 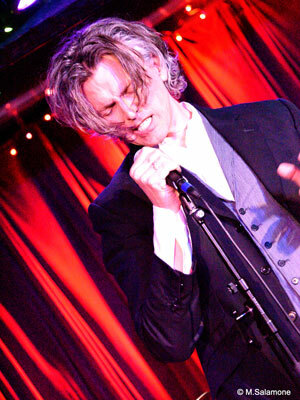 Scott is also a music educator in guitar, voice, songwriting, production, songwriting and arranging and continues work through his own teaching studio in Harlem NYC and as a clinician at institutions and camps for; Berklee College of Music, Breakdown Way, The Fur Peace Ranch, My Music Master Class and Truefire Video.